Vyacheslav Artyomov (1940) has experienced the influence of different musical cultures. irations of Russian early 20th-century culture, violently interrupted by the catastrophe of 1917 Revolution. For Artyomov all elements of musical language attend to one main purpose – penetration into the deepest levels of an inner world, discovering of the »Other World« in oneself. The process of obtaining knowledge of this world can be a way of the joint moral perfecting of both – composer and listener: Artyomov believes in the transfiguration of the created world through music. 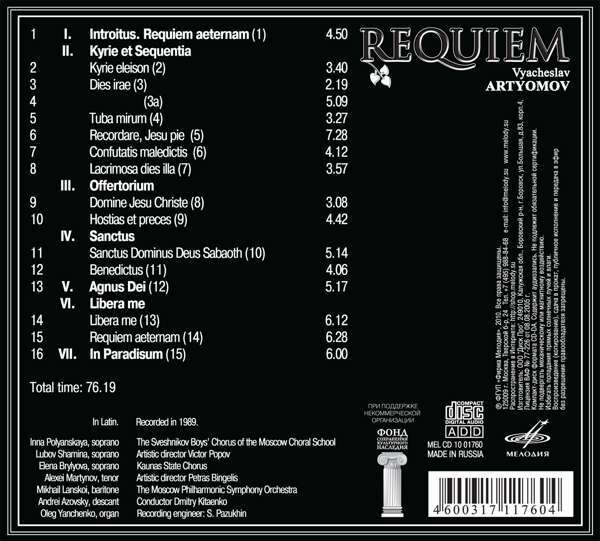 A premiere of his »Requiem« – a grandiose Latin Mass, dedicated to the memory of Martyrs of long-suffering Russia. – took place in Tchaikovsky Concert Hall in Moscow in November, 1988, and became a real triumph for the composer. 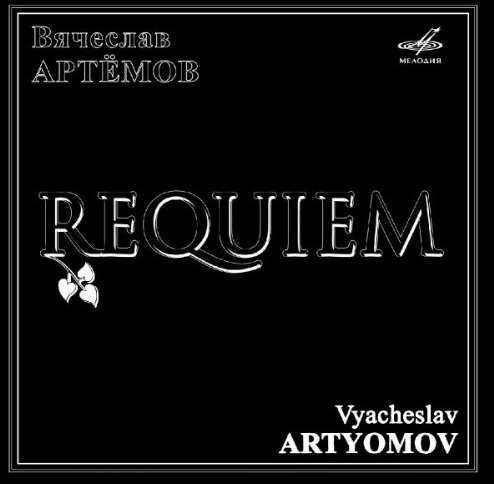 In this connection a famous composer Tikhon Khrennikov said at that time: «Artyomov is an outstanding composer. His ›Requiem‹ has raised the Russian music to the unattainable heights it had never reached before. 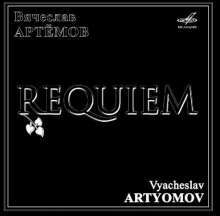 I'm sure it is thanks to Artyomov that we not only reached the European level in this genre but surpassed its acmes – ›Requiems‹ by Mozart and Verdi«.